This lively, handsomely illustrated, first-of-its-kind book celebrates the food of the American South in all its glorious variety—yesterday, today, at home, on the road, in history. 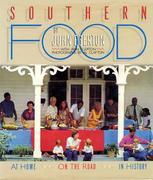 It brings us the story of Southern cooking; a guide for more than 200 restaurants in eleven Southern states; a compilation of more than 150 time-honored Southern foods; a wonderfully useful annotated bibliography of more than 250 Southern cookbooks; and a collection of more than 200 opinionated, funny, nostalgic, or mouth-watering short selections (from George Washington Carver on sweet potatoes to Flannery O’Connor on collard greens). 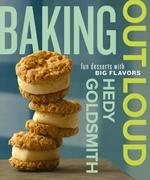 Here, in sum, is the flavor and feel of what it has meant for Southerners, over the generations, to gather at the table—in a book that’s for reading, for cooking, for eating (in or out), for referring to, for browsing in, and, above all, for enjoying.